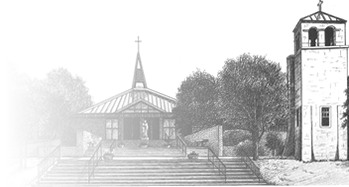 Our Lady of the Holy Souls Parish is a family of believers seeking to know, love, and serve God as a faith community. To celebrate the presence of Christ among us, we will enhance the community atmosphere of our parish and develop stewardship of time, talent and treasure. Our Lady of the Holy Souls Parish is located in the lovely Hillcrest neighbourhood just West on "I" Street from Mount St. Mary Academy and East on "I" Street from Forest Heights Middle School. Holy Souls Church has approximately 1,200 registered families and 3,000 members; over 1,200 parishioners attend mass on any given weekend. A nursery is located in the Parish Hall (located on the South side of the church) for all weekend mass times for children five months through five years. The Church Business office is open Monday through Friday during the school year from 8am to 4pm and in the summer from 8am to 3pm. Our school offers grades Pre-K to 8th with over 500 students in attendance. Our students are competitive in scholastics as well as athletics. We also provide Parish Religious Education for students who attend the public school system or other non-Catholic private schools. There is a link to the School’s website on the home page of our website.